Mention the name Dominic Gamboa to me and my mind immediately flies back in time to this one day in 1983. It was my first year as a teacher; and I was about to enter this classroom unimaginatively named B-203. What greeted me was something that still makes my eyes gleam with humour up till the present day. Domeng, as he was universally known in school then, was chasing after his tomboyish classmate Arsenia Castillo to giver her a punch in the face. I was horrified that a guy would want to punch a girl; never mind that the latter hardly deserved the term in those days. Domeng’s reply when accosted made me almost want to roll on the floor in laughter. There was another incident that I still vividly recall; although this one happened in the next schoolyear when Domeng was in his senior year and in my World History class. Sometimes, when lecturing I just liked to stand by the teacher’s desk with my leg carelessly slung over the backrest of the teacher’s chair. I would rock the chair back and forth while I talked. There was this one day when the corner of the wooden backrest caught my testicle through my pants. Domeng, who was sitting in the chair directly in front of the teacher’s table, was the only one who saw. He never said one word but instead gave me this wide-eyed half-grimacing half-sympathetic look that had me bursting out in laughter. Yes, in the middle of a World History lecture; and the rest of the class totally clueless about what just transpired. How time flies, indeed! That incident was all of twenty-eight years ago! That music was in Domeng’s heart and soul was evident even when he was in high school. He played for several bands and would even perform during school events. It was not unusual for him to bring his guitar into the classroom. His love affair with music meant that, having dropped out of university, he would try for a career in the music industry. Fortune seldom favours the less talented in this often-viciously competitive industry; but talent was never a problem with Domeng. Those who knew him before also knew that it was all a matter of time. 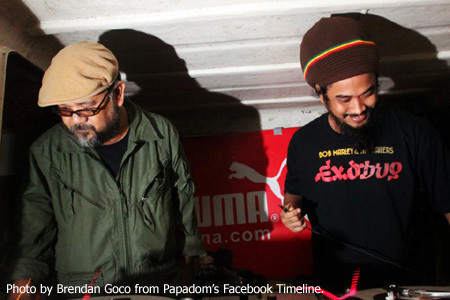 In time, Domeng would become known in the music world as the lead vocalist of the reggae band Tropical Depression. The choice of reggae was curious to me because Domeng used to be such a big fan of punk rock when he was in high school. 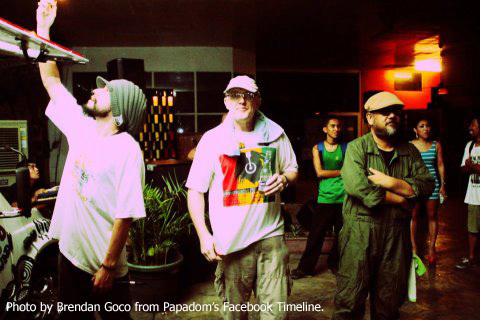 After the band’s breakup, Domeng went on to form a ska band called the Skavengers and even landed in a studio super-group called Lokal Brown. He decided to reform Tropical Depression in 1991; but instead of punk rock, the focus of the band’s music would be Third World musical influences such as African and Caribbean. “Reggae had a tremendous impact on me ever since; so it was just natural for me to get into it eventually I guess,” he says by way of an explanation as to the change in genres. Those who have listened to Tropical Depression’s songs will know how relevant the lyrics and catchy the melodies always were. This was just Domeng being himself. He has always prided himself on being an artist; and that artistry wielded itself in his songs. He considers Tropical Depression as his most successful musical endeavour, but is careful to state explicitly by which standards he measures success. Well said! Very well said, indeed! Outside of music, Domeng spends time in a wildlife breeding farm which he runs with a couple of friends who are also animal lovers. He also does consultancy work for privately-owned zoos. He has been happily married for the past eighteen years and has two boys aged 15 and 9. Although not a Batangueño, he considers the time spent in Lipa for his high school education as valuable for teaching him independence. Domeng’s late Mom used to have friends in a local bank. They were the ones who recommended to her that he study in La Salle. He did not find the idea particularly attractive at the time; but he was gregarious and able to blend right into the scenery in no time at all. And if he craves for lomi? At present, Domeng is working on the music for a full-length Japanese silent movie. 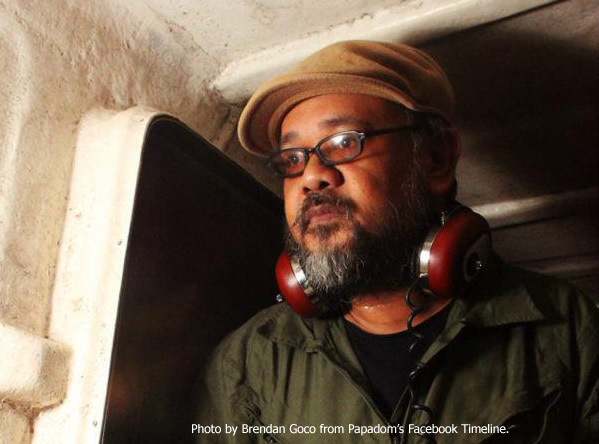 He shall be performing the score with his band on the film’s screening this coming August. Fans of Tropical Depression will also be delighted to know that Domeng and the rest of the band will be working on a long-overdue album which will be released in both vinyl and CD formats. The band also continues to hold gigs every now and again.